This is the ideal course for a first approach of heights. Both children and adults can learn to safely explore on via ferrata: monkey bridge, zip line, Nepalese bridge … you will discover the vertical heights close to Chambéry. 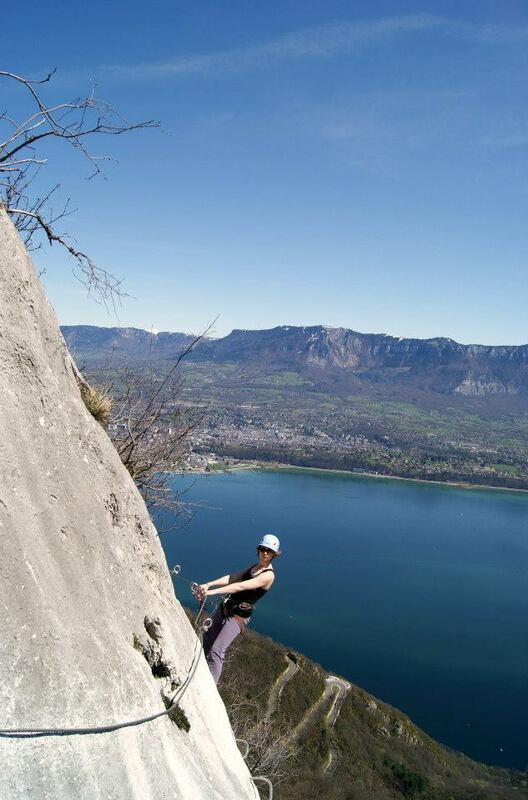 This walk along the cliff takes you above the Lac du Bourget. Beautiful and accessible for the whole family. A thrilling trip is guaranteed! Guide’s option: Go at 5am for an unforgettable sun rise! This course is more physical and requires endurance; let us guide you in this vertical adventure between Aix-les-Bains and Chambery. Beautiful discovery await you in this Via Ferrata. Our team offers the Secure equipment via ferrata which includes harness, lanyards with a specific pocket protection energy absorber tear with zipper to allow check its status and helmet. Rental equipment is regularly checked by our guides via ferrata to ensure activity around Aix-les-Bains safely.